At first glance Ivan Mertsalov seems like an average teenager. He plays music, watches sports and is not yet sure what he wants to do with his future. Yesterday he wanted to be an actor, today a lawyer, tomorrow it'll probably be something else. But unlike most teenagers, Mertsalov, 15, can take apart and reassemble an assault rifle in under 30 seconds. That’s because he’s a member of Yunarmia — or Youth Army — a “youth military-patriotic movement” backed by Russia’s Defense Ministry. 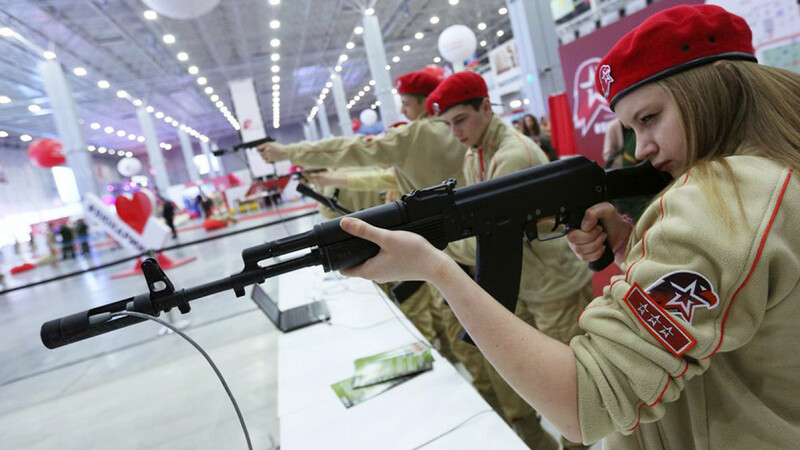 Since Russian President Vladimir Putin ordered its establishment at the army’s behest in October 2015, upward of 416,000 children between the ages of 8 and 18 have joined the Youth Army’s ranks. On the organization’s website, a live ticker tracking membership increases by the dozens every day. By World War II Victory Day on May 9, the group hopes to have 500,000 members; by 2020 it aims to reach one million. Backers of the Youth Army say that the organization’s purpose is more than preparing the next generation for military service. Comparing it to organizations like the U.S.’ Boy Scouts, they say the goal is to develop patriots and active citizens who will be dedicated to improving Russia. Critics, however, argue that the movement is an instrument for those in power to hold onto it. 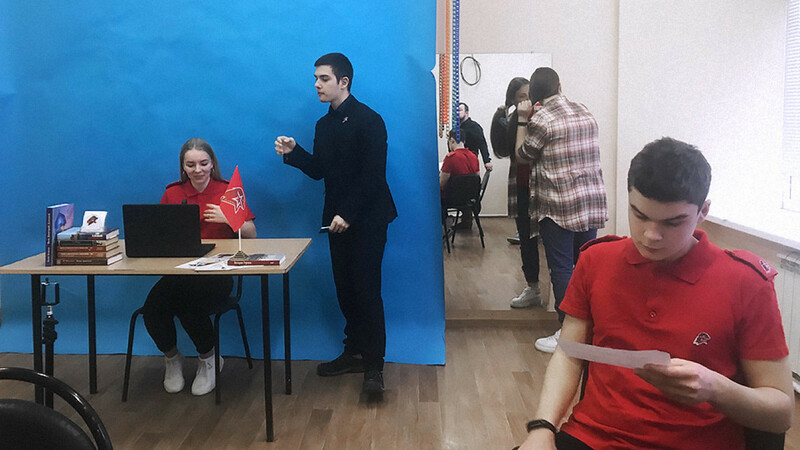 They claim that it is an attempt to breed loyalty as the authorities compete for the hearts of Russia’s youth with opposition politicians like Alexei Navalny, who has inspired teenagers to take to the streets in protest against Putin’s administration. With Putin’s fourth presidential term ending in 2024, speculation over succession is already beginning to swirl, and commentators have argued that the Youth Army is an attempt by Defense Minister Sergei Shoigu to carve out a base loyal to him. But critics say that the military should not be allowed to take such an active role in the upbringing of Russia’s children. On a recent evening, a dozen members of the Youth Army in Dzerzhinsky, a town just outside Moscow named after the first director of the Soviet secret police service, the Cheka, gathered at a local youth center. Some practiced military-style marching; others filmed a video for YouTube in which they took turns recounting historical events, including Yury Gagarin’s first flight to space and Alexander Nevsky’s 1242 military victory in the Battle on the Ice. Three to four times per week, the children gather after school or on a weekend morning to discuss history — mostly wars — plan events, and exercise. Wearing their trademark red berets, they take trips to theaters and museums, clean the town’s monuments, volunteer with veterans and attend military-patriotic camps, where students compete in drills and cadet exercises. Instilling patriotic values in Russia’s children has been a large part of officials’ job descriptions since Putin’s third presidential term. A year into his fourth, that push has gone into overdrive. Earlier this month, state television launched a new channel, “Pobeda” — or Victory — targeting Russia’s youth with 24/7 programming dedicated entirely to World War II. 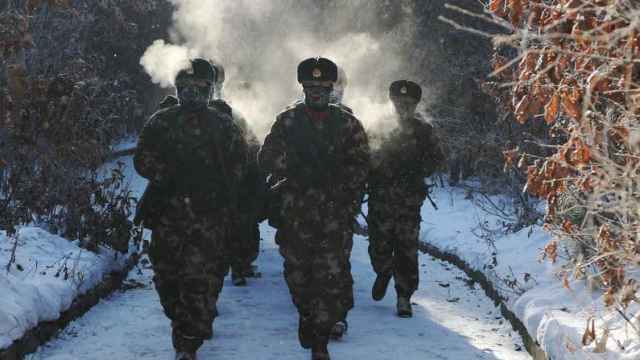 And in March, Nikolai Patrushev, Security Council Secretary and former head of the Federal Security Service (FSB), announced that delinquent youngsters would be sent to military-patriotic re-education camps. For Grebenik, these measures are less about patriotism than militarization. She laments that ventures like the Youth Army have been met with little resistance, and instead are welcomed by politicians and parents who she said have nostalgia for Soviet youth organizations like the Pioneers and the All-Union Leninist Young Communist League, or Komsomol. In fact, the head of St. Petersburg’s Youth Army branch, Igor Korovin, said in an interview Wednesday that the organization would soon start building centers in seven cities that would resemble Soviet Pioneers' Palaces. Some young people were against the idea before coming around. When Mertsalov first read about the Youth Army online he thought it was a propaganda-driven effort to recruit children to the country’s armed forces. But after Oborotov showed up at his school one day with a pitch that sounded more akin to community service, Mertsalov decided to give it a shot. In its efforts to recruit new members, the Youth Army offers incentives. Members who want to become army officers, for example, earn merits for their resumes by placing well in competitions — weapons assembly, shooting accuracy and physical endurance — held during the military-patriotic camps organized regularly throughout the year. Recently, those incentives have been extended to those without apparent aims at earning high standing in the military: At the end of March, the Youth Army announced that 20 universities around the country would award its members extra credits for those accomplishments upon matriculation. Some of the official recruitment, however, has relied less on incentives and more on heavy-handed tactics. Reports this year have surfaced of parents complaining that teachers have forced their children into joining the organization. And in January an apparent Defense Ministry document circulated online stating that all children of officers were required to join the Youth Army. “The absence of officers’ children in the ranks of the Youth Army will be regarded as a misunderstanding by military personnel of the principles of state policy in the field of the patriotic education of citizens,” the document read. Some educators have even lost their jobs for questioning the Youth Army’s benefits. Last year, a teacher in the Arctic region of Murmansk was reportedly fired for complaining about the organization in a social media post. A court later ruled that the firing was illegal and the educator was reinstated. And that July, Russia’s children’s rights ombudsman Anna Kuznetsova called on state-run homes for orphans and troubled youth to urge their children to join the Youth Army. 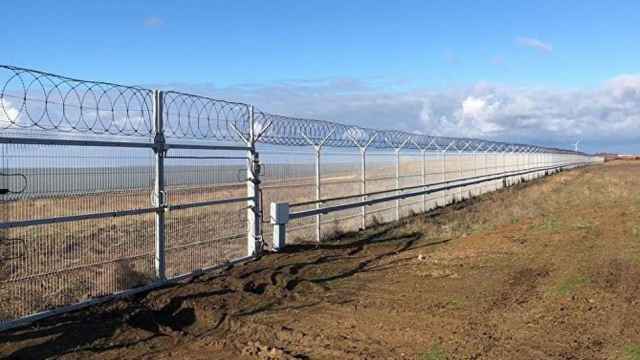 “You’d think it’d be more important for the authorities to spend money on the right education for these kids rather than coercing them into the army,” he added. 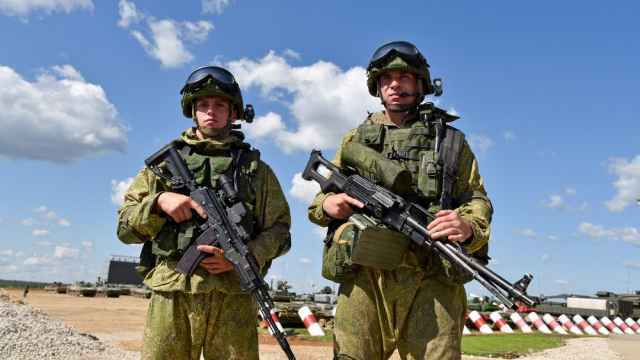 The authorities, though, appear to be pleased with the Youth Army’s developments, and are continuing to push for it to expand: Last month, the Kommersant daily reported that the Defense Ministry had ordered Youth Army regiments to be added to all of its military complexes. The Youth Army has been able to expand so quickly because military-patriotic clubs have existed around the country since the 1990s. Many have been folded into the Kremlin-backed flavor of the day. The organization is also, especially in the regions, seen as a tool for socioeconomic mobility, say Alexandra Arkhipova and Maria Gavrilova, sociologists with the Russian Presidential Academy of National Economy and Public Administration (RANEPA), who have traveled to towns and villages across Russia to study military-patriotic movements. “The first thing you see when you go in is a big stand advertising military-patriotic camps, and maybe portraits of graduates who fought in Afghanistan or Chechnya,” said Gavrilova. Her overall takeaway, she said, has been that many families in impoverished Russian villages see military, police or special security service as a way out. “It all reminds me of [Alexander] Petrov and [Ruslan] Boshirov,” she said, referring to two Russians accused of working for the GRU military intelligence service and poisoning former Russian spy Sergei Skripal in the United Kingdom last spring. Russian and Western media outlets found that the men were both excellent students who grew up in far-flung villages. “The more depressed and poor the town, the more prestigious the Youth Army seems,” Gavrilova said. 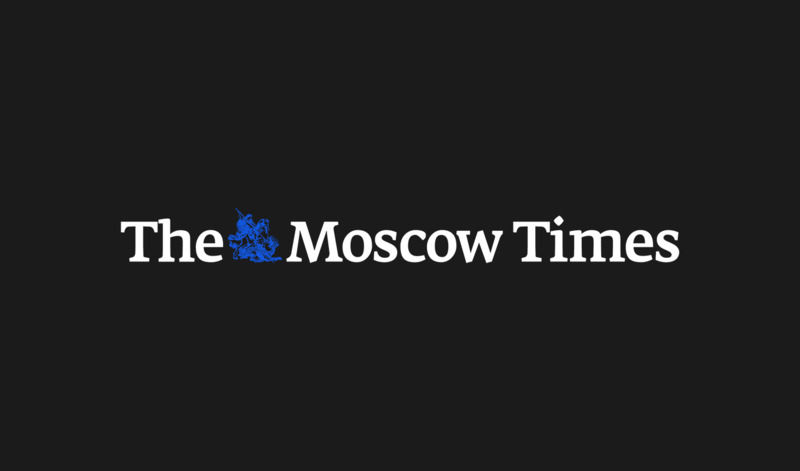 “Like in Soviet times, the army has become a tool for upward mobility,” said Andrei Kolesnikov, the chair of the Russian Domestic Politics and Political Institutions program at the Carnegie Moscow Center. In addition to stocking these ranks, the Youth Army is also a tool to forge a generation suspicious of a fifth column and the West and preserve Russia’s “besieged fortress” state of mind, Kolesnikov said. It is also a way to breed a future electorate loyal to the state. But while many Russians now trust the army more than Putin, Tatyana Stanovaya, the founder of the political analysis project R.Politik, said that Shoigu’s initiative is more a play to show his worth as post-Putin transition planning gets underway. As for Youth Army instructors like Oborotov, a murky future on the horizon is precisely the point of his work.